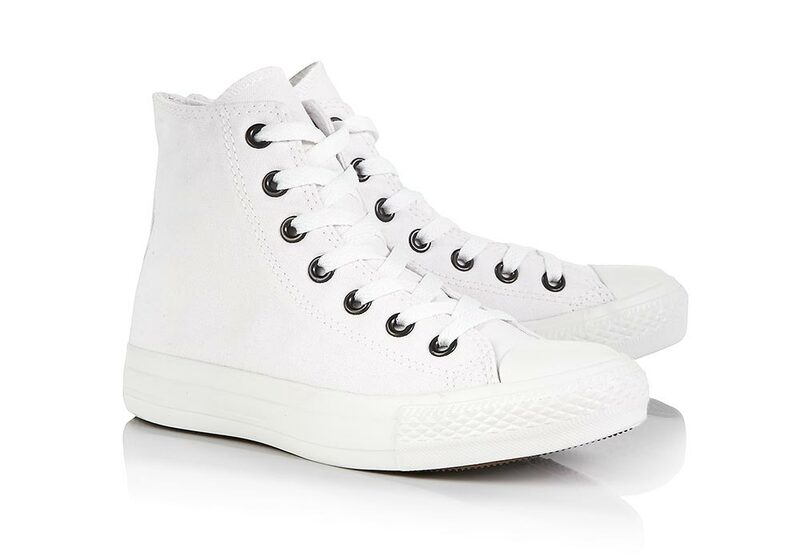 There’s a reason why celebrities and fashionistas worth their weight in style have a pair of white Converse All Stars in their arsenal. No other sports shoe is more iconic. We’ll be wearing Converse’s Chuck Taylor All Star high-tops with everything this summer – from sundresses to our favourite jeans and chic tailoring – for a timelessly cool edge. 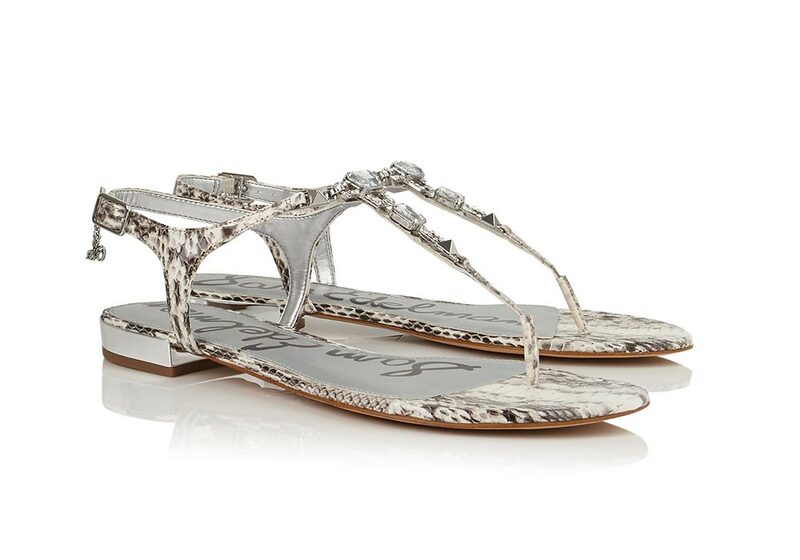 We are obsessed with Sam Edelman’s Dawn Snake Print Sandals. Effortlessly luxe, thanks to the sun-catching clear gems and silver-toned drop charm to the ankle, not only are they gorgeous, but they’re also comfortable too, thanks to the low block heel. True summer sandal heaven. On the look out for the perfect new season boot to style up day dresses and denim shorts? Then look no further than Senso’s Blake Flat Ankle Boots. 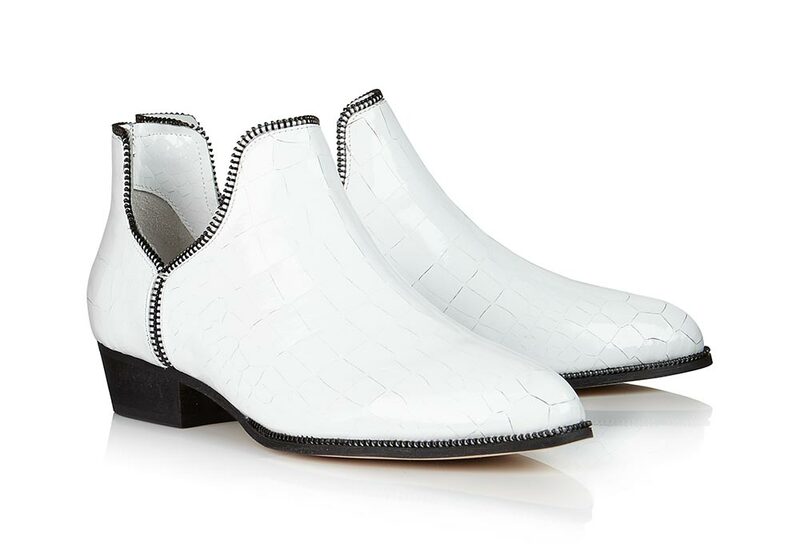 Featuring a mock croc effect on the glossy white leather and a low-cut style to show off sunkissed ankles, we’ll be hitting bars and festivals in these.